For use with Comar ® Oral Dispensers. 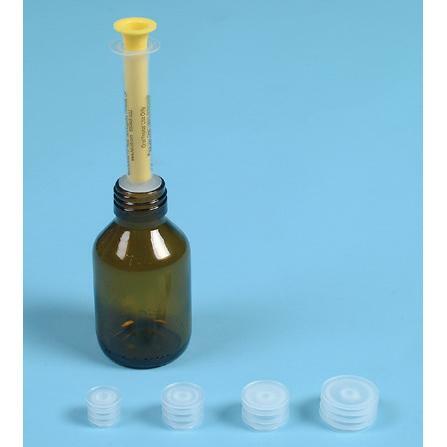 Plastic inserts fit into bottle openings to allow oral dispensers to be inserted and easily filled without a mess. Bottle caps can be used with adapters in use. Available in four sizes: 20mm, 24mm, 28mm and 33mm. Please note that the bottle adapter insert sizes listed correspond to the outer neck of bottle and not the inside opening. Request a sample kit of adapters to try on your specific bottle.